Alternative Materials & Methods and the Emergence of Spray-Applied Fire Retardants. 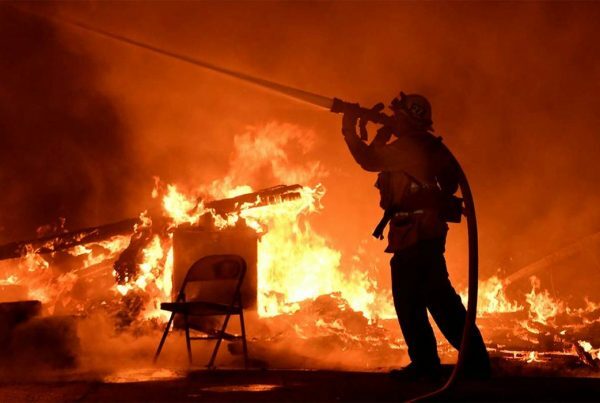 With the emergence of spray-applied fire retardants and other topically applied systems, I feel that it’s only pertinent to discuss how these products, which represent a viable alternative to traditional Fire Retardant Treated Wood, can be approved for use in specified and/or code required applications. Alternative Materials, Design and Methods of Construction and Equipment is outlined in Section 104.11 of the IBC, and provides an alternative method for meeting building code requirements via an alternative material, in accordance with the alternative means and methods provision of the code, provided the product meets the same performance requirements as whatever you’re replacing. It’s also crucial that the alternative material/product is not lesser in quality, strength, effectiveness, fire resistance, durability and safety. For my example, I have a customer that wants to use fire treated plywood featuring a fire-retardant coating system instead of the traditional “pressure impregnated” FRTW or FRT plywood. In other words, this alternative product would not be FRTW (not pressure impregnated) but could serve as a code compliant alternative to FRTW if we can provide the required supporting documentation. If you’re confused, don’t be. This process is simple once you understand: (a) what the code is asking for and (b) how to provide the answers/documentation to your local AHJ so they can make their determination. At the end of the day, while this provision in the code exists, it’s up to the Code Official (AHJ) to approve or deny the alternative material/method for use based on the supporting data provided (e.g. Research Reports, Testing Data). If you want your materials to get approved for use, then you’d better do your homework and have your ducks in a row. Let’s get into action and first understand what our requirements are by referencing Section 2303.2 of the IBC: Fire Retardant Treated Wood. 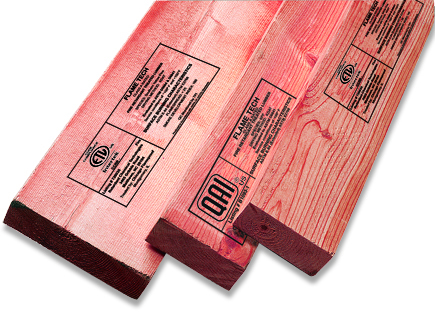 Fire-retardant-treated wood is any wood product, that when impregnated with chemicals by pressure process or other means during manufacture, shall have, when tested IAW ASTM E84 or UL 723, a listed flame spread index of 25 or less and show no evidence of significant combustion when the test is continued for an additional 20-minute period. Additionally, the flame front shall not progress more than 10-1/2” feet beyond the centerline of the burners at any time during the test. The IBC defines FRTW as material that has been treated by a pressure process. The materials we want to use as an alternative to FRTW weren’t treated by a pressure process, therefore, we cannot label them “FRTW”. Fine, let’s call that product POTATOES. By the way, we have great POTATOES!!! pass the 10-minute ASTM E84 Test, plus the additional 20-minute period, as defined. *Since the FIRE testing component of this is the key to success here, we’ll focus on fire. ASTM E84 is the Standard Test Method for Surface Burning Characteristics of Building Materials. This test lasts for a period of 10-minutes and provides two data points: Flame-Spread & Smoke Developed. The IBC requires an additional, or extended, 20-minutes of testing after the initial 10-minutes, making this test a “Modified E84 Test in accordance with IBC 2303.2”. The Flame-spread Index, or FSI, details the tested material’s propensity to burn rapidly and how quickly flame spreads on the surface of the material. The Smoke-Developed Index is a measure of the concentration of smoke a material emits as it burns. The most widely-accepted flame-spread classification system appears in NFPA Life Safety Code 101 – grouping flame-spread & smoke development by Class A, B or C, and this is where the IBC derives the baseline performance requirements for FRTW, and/or their alternatives from. Class-A is what the IBC requires for FRTW materials (or their alternatives) and that is “Flame-Spread of 0-25, Smoked Developed 0-450”. Now that your product has been all tested and certified, the “presentation” portion of your facts for approval should be rather straight forward. First, provide your research report along with your “modified” ASTM E84 test results that demonstrate equivalence in performance to what was prescribed by the code, and make sure you have your strength, corrosion and hygroscopicity data are on point. This information is more often than not found within the research report IF that data point was in fact captured in the scope of the evaluation. Gaining approval for an alternative product isn’t always a walk in the park. Some jurisdictions simply won’t allow certain products or methods for use, while other jurisdictions are much more open to outside-the-box thinkers and our creative solutions. As mentioned before, gaining acceptance begins with your product’s valid and supporting research reports from approved sources backed-up by test results from an approved agency. Last but certainly not least: know your product, know your audience, and prepare for your competition to try to shut you down. I say — bring it on! Previous Post"It needs to be PT & FRTW."